Who are our students? What makes us unique? What are our historical roots? Do we have a “typical” student profile? No. Pakachoag students come from a wide range of backgrounds and circumstances. This is evidenced in part by the range of colleges and universities to which Pakachoag Music School students have been accepted (see our Impact page). We also have students who choose to enter into trades or the military upon completion of high school. This fact also illustrates a core value at Pakachoag: Music is for everyone. Parents tell us their children love the Music Together program due to the strong musical and interpersonal skills of our teachers and the fun, hands-on music-making classes. Parents also appreciate the exceptional quality of the Music Together song collections and the parent support materials provided as part of the Music Together program. 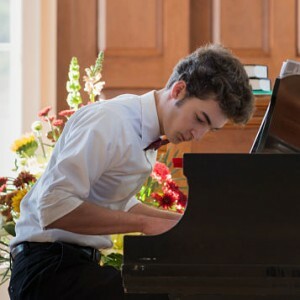 The private instruction program stands out because of the opportunity for on-going student performance in both casual (performance class) settings and in the more formal recital setting. While not all students choose or may not immediately be ready to participate in the performance program, those who do find that performances serve as great motivational tool, provide a sense of accomplishment, and allow students to meet other young people who also enjoy music. Teachers are able to better map the progress and needs of students when observing a student in performance. We also make an effort to match students with a teacher who will meet the student’s needs as closely as possible taking into consideration learning style and interests. All of our teachers are accomplished musicians and experienced teachers. Pakachoag Music School of Greater Worcester was founded in 1982 by Pakachoag Church in Auburn as Pakachoag Community Music School. The School was created in response to cutbacks in funding for public school music programs as an outreach mission. Programming included music lessons and early childhood and musical theater programming, just as it does today. In 1989, the school became independently incorporated and convened its own Board of Directors. The school remained housed in the Pakachoag Church building through 2017. As of 2018, the School is now based in Worcester, renting dedicated space on the 2nd and 3rd floors of All Saints Church, in proximity of Worcester’s theater district. Satellite programming in a number of communities allows the School to extend its reach.